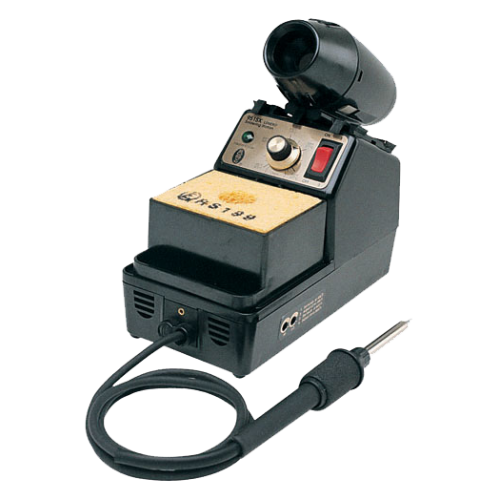 EDSYN European 951SX-230B Loner Soldering Station. An industry standard, highly dependable, cost efficient. accurate linear temperature control dial, 205 to 427 degrees C range, 70 watt heater, ESD safe, wide variety of soldering and SMT CROWN tips available, 230vac, 50Hz, 1 year warranty. Made in the USA.